Flat Roman Shades w/ Accent Banding - by Exciting Windows! The layering effect allows for coordinated perfection in this living room. 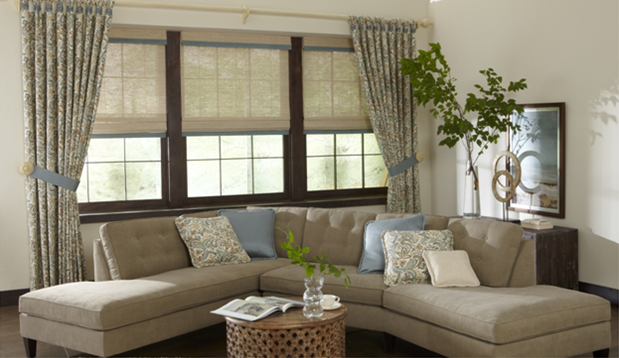 The mixture of solids and patterns, highlighted with matching fabric choices, give this room the ideal backdrop. Style and function come together, as the roman shades offer levels of privacy and light control, while the drapery panels have the option of staying in a framed position, or closing fully. Let us help personalize your home today!